The extremely narcotic stoned of Herijuana is why she is acclaimed worldwide as a medicinal strain or just to become stoned to the bone. The effect is mainly on the body and less in the head but does make you like to sit down to relax. The golf ball like buds are very compact and put more weight in the scale as expected. This indica might be too strong for novice stoners! If you are looking for a short flowering Indica with extreme potency then the Herijuana feminized is an excellent choice. 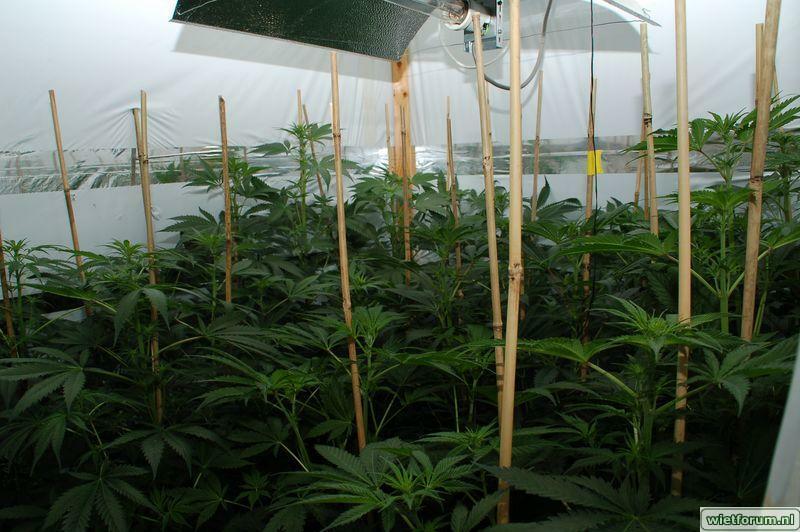 The plant is easy to handle and therefore manageable for everyone to grow. 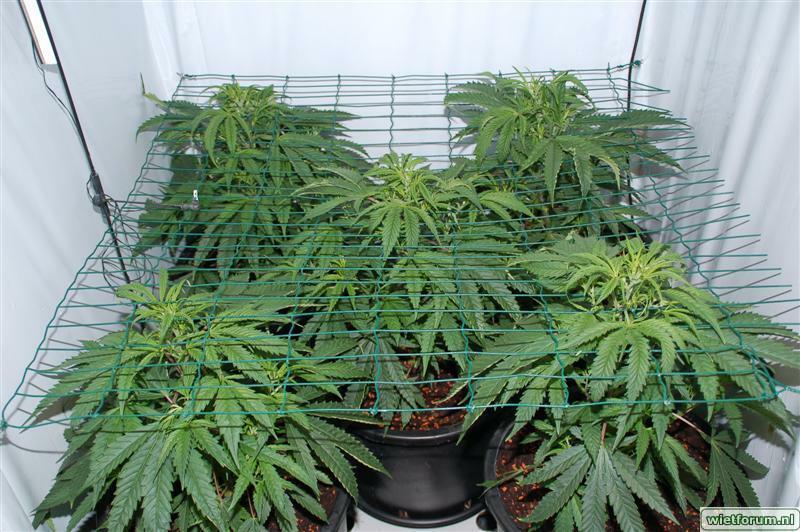 The plants do not grow tall but are wide and have a good growth potential to fill up your growing space with female Herijuana plants. The typical Indica flavor and experience are highly popular and makes Herijuana seeds on of the best-selling Sanniesshop varieties. By working together and sharing genetics with Motarebel in 2006, I got the first Herijuana (killer new Heaven X petrolia headstash) seeds in my hands, which we planted almost immediately to see what kind of plants would come from this. The result was wide Indica plants which gave beautiful golf ball like buds, but it wasn’t until smoking them that we became really impressed.. Heavy stoned which makes you just sit down and let everything slide off you. I had rarely encountered such a powerful Indica and started selecting plants that met our standards to grow seeds from. 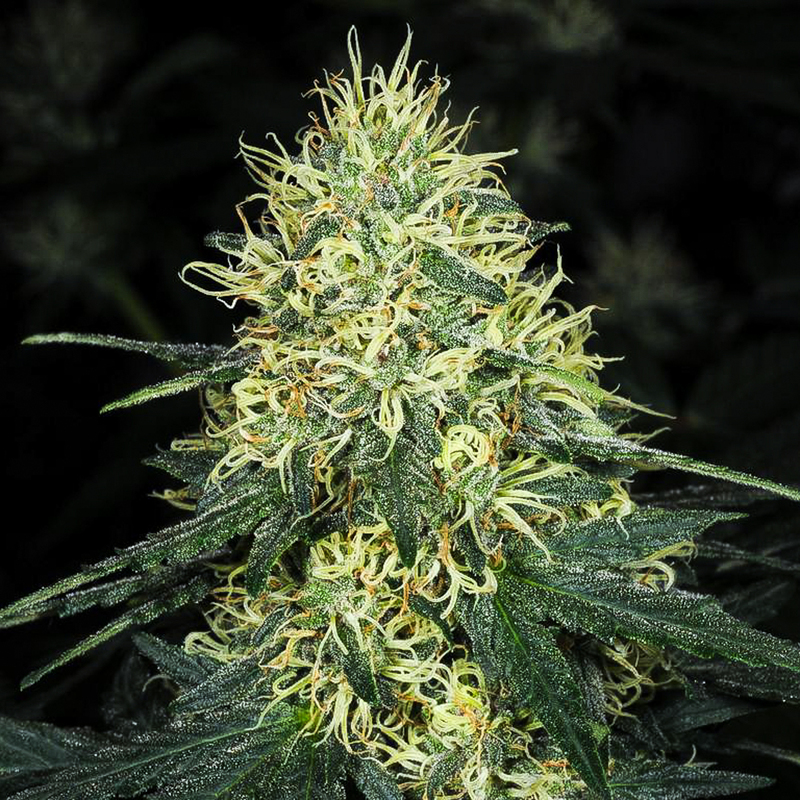 The seeds were already IBL when we got them and now after more than 10 years of selecting and stabilizing we can honestly say that these Herijuana feminized seeds are among the strongest Indica's in the world. Because the largest part of the Herijuana is Indica dominant, the plants will acquire a longer growth period or more plants to fill the space. The ladies grow compact and especially in width which is useful if you do not have much height at your disposal. 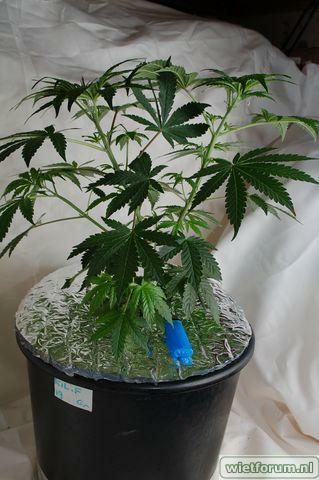 As an indication, these plants may grow 3-4 weeks (4-5 internodes) on a 10 liter pot, after which they will double in size during the flowering period. Do not start planting the plants until the plants are larger in size to ensure that the plants become large enough to fill your space. Once the bloom has started, things will proceed rapidly and before you know it you will be able to harvest after about 7-8 weeks. Harvesting the Herijuana is a delight but does require a carbon filter because of the strong smell, All the buds that were exposed to light will feel compact and heavy, the density of the flowers and the easy cutting is an advantage. We advise to hang plants in its entirety in order to achieve a drying period of at least 2 weeks but preferably a little longer, this will benefit the taste and throat feeling! By selecting and breeding intensively, Herijuana is a strain that mainly gives the same pheno types or little difference between the plants. The big advantage is that you will never be disappointed that you have not found the right plant. From 1 pack of Herijuana seeds you will find the winner you have been looking for. When creating the Herijuana the main idea must have been to realize a most powerful a pain reliever as possible and therefor is seen by many of my customers as the Holy Grail among the medicinal weed strains . The high THC and average CBD levels cause a whirl that lasts about 4 hours and makes you oblivious to the passing of time. Mostly indica aroma and mouth / throat feeling of flavored coffee and grapefruit with earthy undertones. Nice to smoke but solid expanding smoke you might want to take it easy with, which is exactly my advice. Great service from Sannie. No problems with delivery. Very happy with the choice of Herijuana. Sannie, my compliments !!!! excellent breeding no hermies in my grow, nice fresh fruity smell with a smashing hard hitting stone. After cure I lit a small bowel, did not inhale but just took a long smell through nose . torched me for 2 hours. very relaxing .